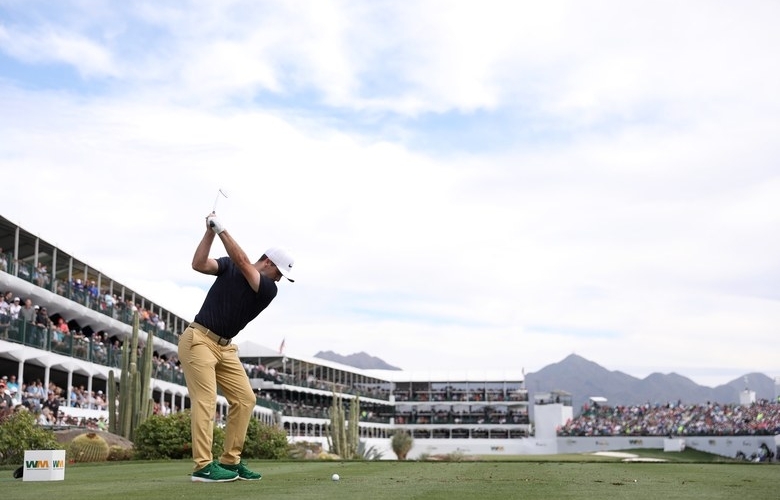 SCOTTSDALE, ARIZONA – JANUARY 31: Denny McCarthy plays his shot from the 16th tee during the first round of the Waste Management Phoenix Open at TPC Scottsdale on January 31, 2019 in Scottsdale, Arizona. On Friday of the Waste Management Phoenix Open, Denny McCarthy received a two-stroke penalty under Rule 10.2b(4), which does not allow caddies to stand behind players as they line up. It’s one of the notable changes to the Rules of Golf that went into effect at the start of the year. But the PGA Tour announced on Saturday that officials have reviewed that ruling and have rescinded the penalty. McCarthy’s score from Friday, accordingly, has been adjusted from a 67 to a 65. In a statement, the PGA Tour said that it worked with the USGA and R&A on how to interpret the new rule, and that Justin Thomas and his caddie faced a similar penalty during the same round. After looking at footage of both incidents, the decision was that neither player should be penalised, resulting in McCarthy getting his two shots back and Thomas not receiving a penalty. “It is clear that there is a great deal of confusion among players and caddies on the practical application of the new rule during competition, as well as questions surrounding the language of the rule itself and how it should be interpreted. As a result, with the full support of the USGA and The R&A, the rule will be interpreted whereby the two aforementioned situations, as well as future similar situations, will not result in a penalty. McCarthy’s score has been updated accordingly. These conversations over Rule 10.2b(4) are occurring less than a week after Haotong Li was penalised for his caddie lining him up on the 18th green at the Omega Dubai Desert Classic. 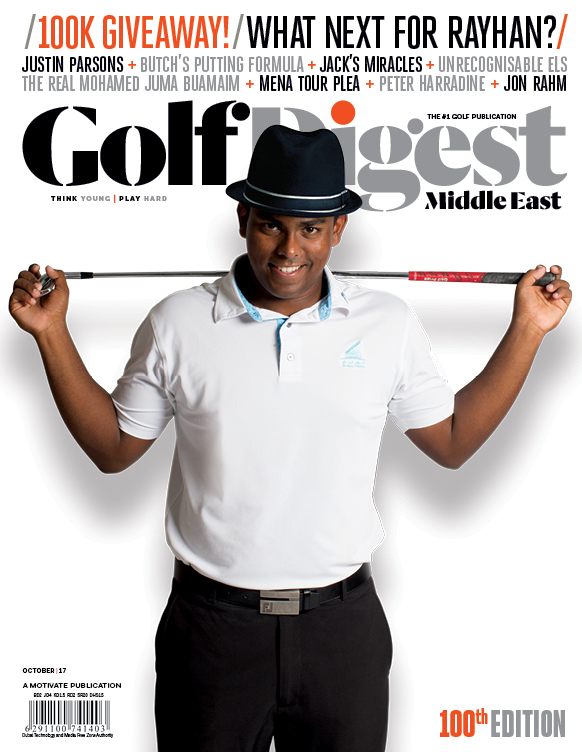 The two-stroke penalty moved him from T-3 to T-12 in the European Tour event.